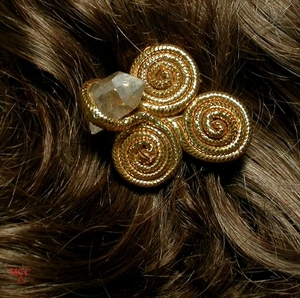 Channel compliments right to yourself with the Highlight rock crystal barrette! You'll be golden! 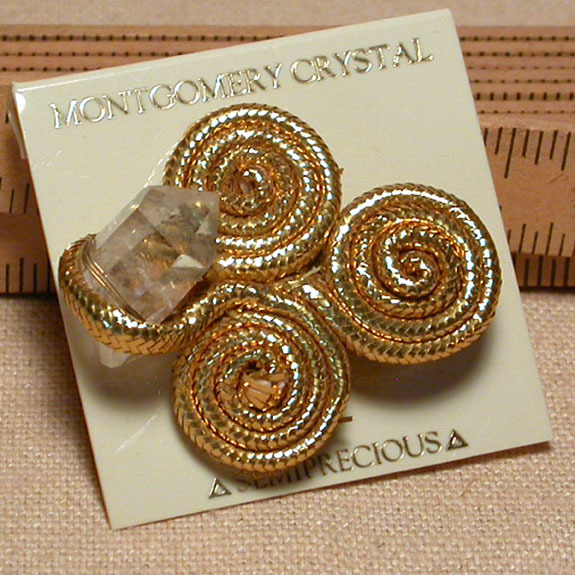 We've wirewrapped a trinity of gold braid spirals with a shining natural Arkansas rock crystal to a 1-1/2" strong French clip...overall just 2" wide, and packed with good energy. To contain a curl, perk up a gown, add shine to jeans and a tee this elegant barrette is effortless accessorizing! If you'd like a pair of Highlights or more, please inquire.